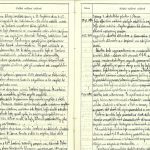 The Security Services Archive administers mostly archival materials from the years 1938–1989; nonetheless, it is sometimes possible to find older materials, too. 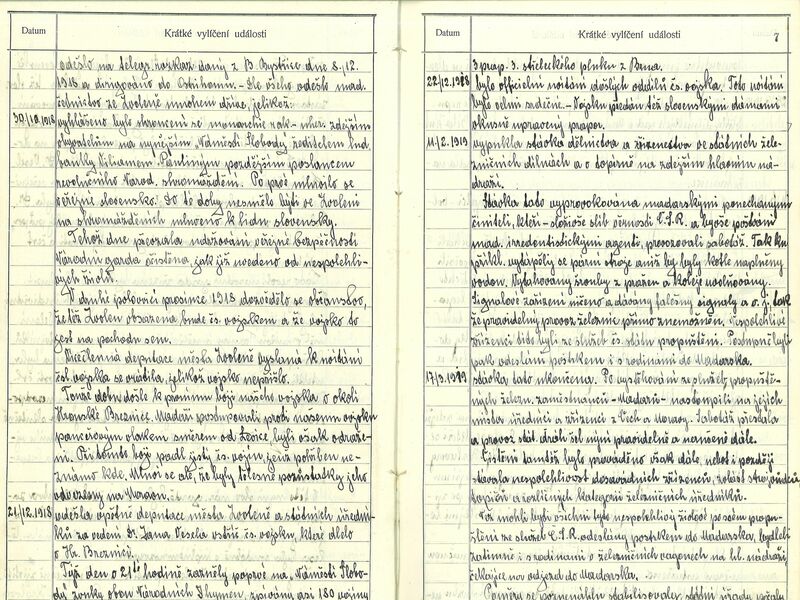 Among the most numerous examples of older archival materials are the event logbooks of the gendarmerie in the Czech lands, most of which are deposited within the collections of Public Security Corps located at our department in Brno – Kanice. 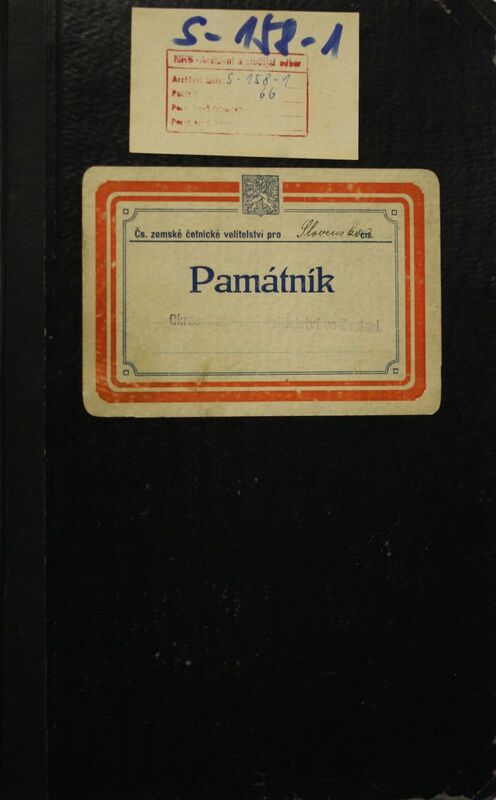 Surprisingly, some of these event logbooks can also be found in the Collection of Various Records (S) under the custody of our department of Collections of the Federal Ministry of the Interior in Prague. 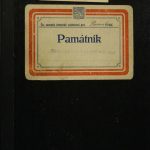 This collection contains plenty of archival materials that relate to gendarmerie, including event logbooks from the stations of the Slovak Land Gendarmerie Headquarters. 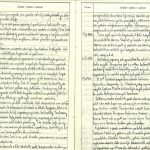 What can be found in these logbooks? 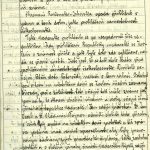 Besides the usual records, such as notes on investigation of serious crimes, there is interesting information linked with the Central Slovakia region during the era of the “First Czechoslovak Republic”. 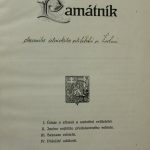 They often describe important events for the specific region, such as construction of new railways and opening of new schools or hospitals, and for the whole of Slovakia, such as celebration of the 10th anniversary of the republic in October 1928 or declaration of Slovak autonomy in October 1938. 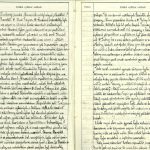 Especially these records allow us to follow the effects the “high politics” had on the life of ordinary people in the towns and villages. 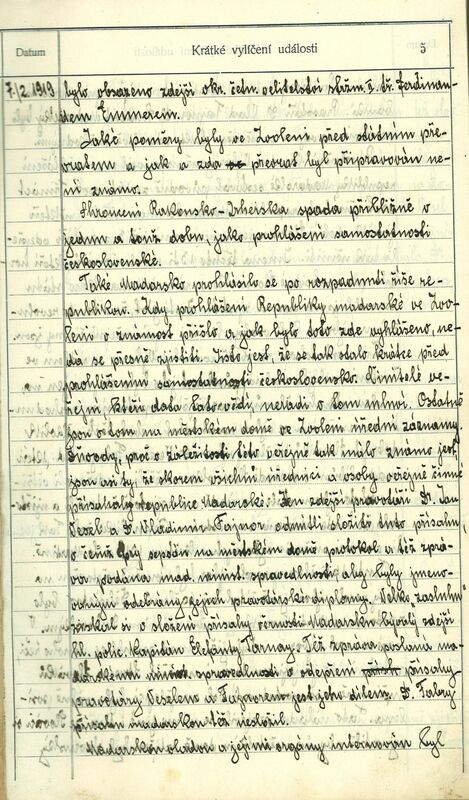 The first pages of the event logbook of the Gendarmerie Station in Zvolen, dating back to January–February 1928, contain records on the problematic situation with promoting Czechoslovak state power over the Slovak territory to the detriment of the Hungarian influence. The assessment of the situation at the end of 1918 was written by the chief commander of the station, constable Ferdinand Emmer. He described especially the difficult cooperation with the Revolutionary National Committee which “(…) was established after the declaration of the Republic, consisting originally of 16 people. 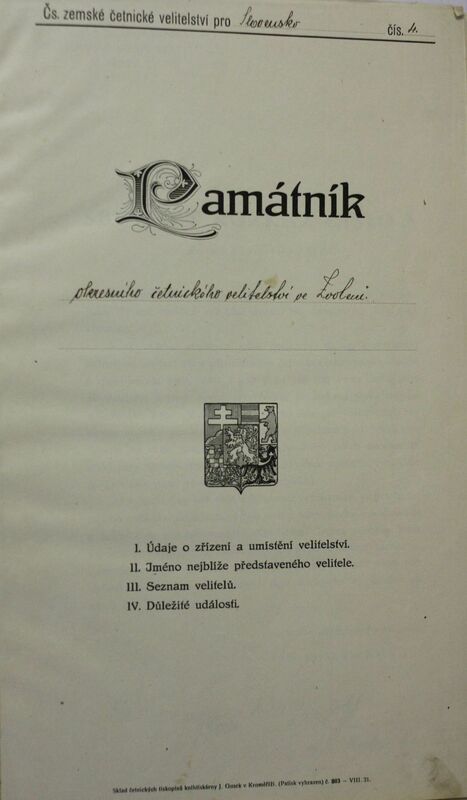 Thirteen of them wowed allegiance to the Hungarian Republic, among whom some otherwise good Slovaks.” There are also records on the big difficulties caused by the Hungarian Gendarmerie retreating to the south, and by “groups consisting of deserters and other individuals, not particularly reliable for the Slovak cause”.